Hello everyone, how are you today? It may be strange that almost every post I start with this question, but I don’t want you to forget that it is very important to always be honest with yourself about how you really feel. And you know that you can talk to me about everything, right? For today I prepared a new series of posts on my blog. You already know that I have posted about my favorite quotes and I know how much you love them so I will make them more, don’t worry. If you are interested in my favorite quotes of all time, just click here. ‘Your only way is love’ – mteodoraa from what when you get lost? 2. ‘Happiness is there to share with others, but the pain is one step towards happiness. Therefore, if you feel like crying today, cry today. Do everything today to be smiling tomorrow. Today collapse the whole world in order to build a new one tomorrow. Today give up 100 times to succeed 101. Today, be who you are so that tomorrow you can be who you want to be.’ – mteodoraa from what when you get lost? 3. ‘Not all the diversity of life has disappeared, there is still something left here, under the memory, there is still love, there is still hope, there is one eternity. Don’t miss your chance to be happy.’ – mteodoraa from and what do you have from life? 4. ‘Because your wings are your everything and you fight for them to fly the way you would fight for the air if it was your last breath… Because your wings are… Your love!’ – mteodoraa from fight for your wings! 6. ‘Don’t get too late to find out that everything you have left is emptiness, smoke, and dust. You’re here now. Now create. Love now. Live now. So that at the end of the journey, you have a life. That’s enough.’ – mteodoraa from and what do you have from life? 7. 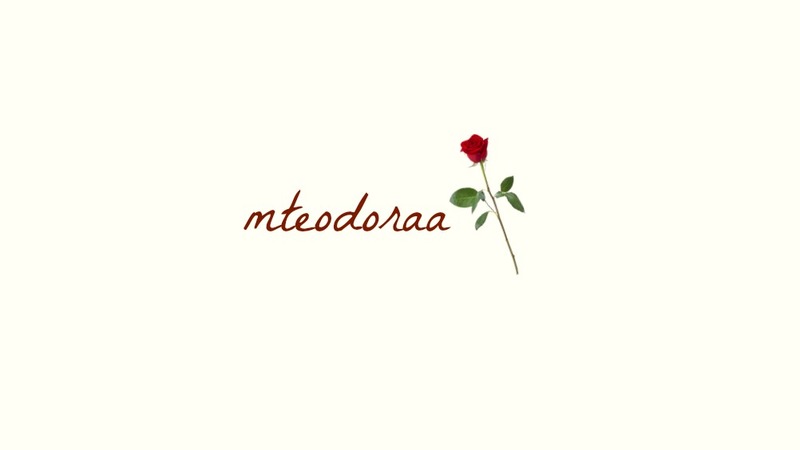 ‘No, don’t change your flowers for paper, don’t give your love for success, don’t sell your imagination for someone who doesn’t see all the colors of this world!’ – mteodoraa from when we were younger..
8. ‘You and I, the whole world, we all have our own color, and somebody thought we were worthy to be in this color box together.’ – mteodoraa from which color are you? 9.‘Maybe our wishes are somewhere, by the way, they passed with our expectations and nothing happened like we dreamed it to be. And we grow up and we could never return the same way again because even if we try, there is nothing behind us, except for smoke, dust, and nothingness.’ – mteodoraa from when we were younger..
10.‘Life is when you create life, something you’ve been fighting for a long time, something you love more than life. Life is when you have someone who is fighting for you, someone who loves you and who you love, someone who exists. What do you have from life?’ – mteodoraa from and what do you have from life? Beautiful quotes and don’t let anyone discourage you from your goals. Thank you for following my blog! How did you find it? Do you bike? Where are you? How did you get so many folowers? Thanks again and best wishes! A superb collection. You should do a book of quotes 🙂 Keep bringing them on. great post.I love your quotes.It is a wonderful idea and pleasing to the eye…..I feel it is precious to have our written work quoted and shared by our name/handle….I dream you will have a book of quotes some day….very calm to the mind.thank you!